I love this machine, purchased it used in 1998. Never had a problem with it and have maintained it since I purchased it. 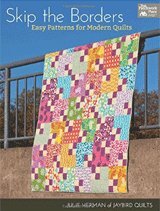 Now I am into quilting and so far it has not let me down. Even did some machine quilting which I still have to master. It is a heavy duty machine, all the inside parts are metal, no plastic. Just purchased a very lightly used 1471 from a sweet lady who does not read/speak English real well. She could never figure out the manual and sews on a "simpler" machine. There was hardly any lint in the bobbin case area! It looks brand new. I also have a 1475 which I've had for over 25 years, purchased used also and still use/love it too. I scour the internet every couple of months just looking and ran across this one local. Someone below said they have probably sewed 100,000 miles on their Pfaff, I could say the same about my 1475. 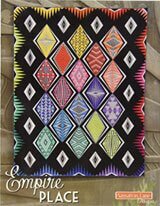 A couple years ago I accidentally won a Pfaff Quilt Expression 4.0 on eBay and it's OK but it is not as reliable as the 1475 or I'm sure the 1471 will be. I can't say enough good about these faithful machines. Hello! My grandmother gave me this machine and I absoultely love it! It is a work horse. I have never had a single problem with it. She is actually from Marrero La as well! I was wondering, I am trying to order replacement bobbins but can't really figure out what size this machine takes. I was hoping to find out from someone that actually owns and uses the machine- I feel like online the information is always wrong. Anyway. If you could help I'd really appreciate it! I have a big sewing project coming up and I can't work with just one bobbin, drives me insane! I bought my Pfaff Creative 1471 new in 1985. Since then, I've probably put about 100,000 miles on it. It is heavy duty, purrs like a kitten, with the speed of a racehorse and finesse I've rarely seen in other machines. 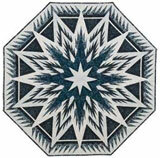 I learned, but did not use too often, the embroidery functions. 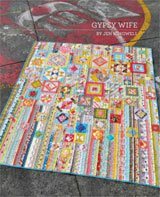 Probably should not have bought this particular one, since I sew mostly clothing and quilts, but I was young, so no regrets. Recently (after 32 years!) the wheel seized up and refused to turn. It's in the shop now and I'm praying it can be repaired, but the fellow told me "This machine was top of the line and built to last, but nothing is eternal." If I must replace my 1471, I will buy one that includes the 9mm stitch width feature. I bought a Pfaff 7550 in 1996. I love it. It has a lot of embroidery which I really do not use but it has worked out great for me. 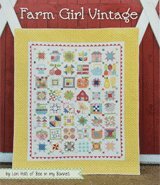 I have been sewing for over 50 years (I'm an old bugger), Now my sewing is just quilts. I love this machine for piecing and FMQ. Sometimes I wish I had something with a longer arm for the quilting but I would not get rid of this machine. I was told by my repair man that it was only a year or so when Pfaff stopped making the machines in Germany. He said at that time he refused to sell any more of the brand because they were junk. My machine is heavy metal and worth all of the $3,000 I paid for it new. I would suggest that anyone looking for a good machine today to look to some of the older used machines. I agree Addie. 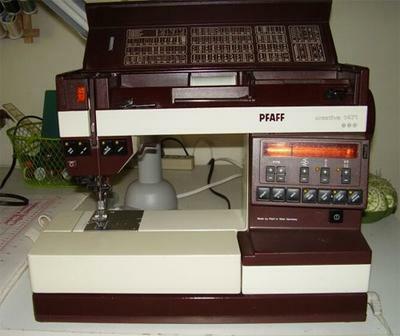 I have the same Pfaff 1471 which I purchased in 1988! It is a great machine. My husband just bought me a new Pfaff Creative 2.0 and wanted to know if I wanted to trade my "old" machine in since I had the new one. No way, this old machine is very dependable. I, too, am just starting to quilt and have used the embroidery on the new machine but think that old faithful may get used for the quilting.